Subtle but welcome improvements to the cabin include an easier-to-use cargo door step mechanism that also lowers cabin noise. Wing root sealing is improved to cut noise and eliminate fumes in the cabin. Pilots’ sun visors are upgraded to an improved Rosen model. Under the hood, the Kodiak’s Pratt & Whitney Canada PT6A-34 engine now features an accessory gearbox chip detector. The Garmin G1000 NXi upgrade brings dual-core processors—instead of the G1000’s original single-core processors—to the three large displays, speeding up startup, zooming, and panning. The primary flight display (PFD) in front of each pilot adds an HSI map displaying traffic, terrain, weather, navaids, and obstacles in a convenient location for the pilot’s instrument scan. 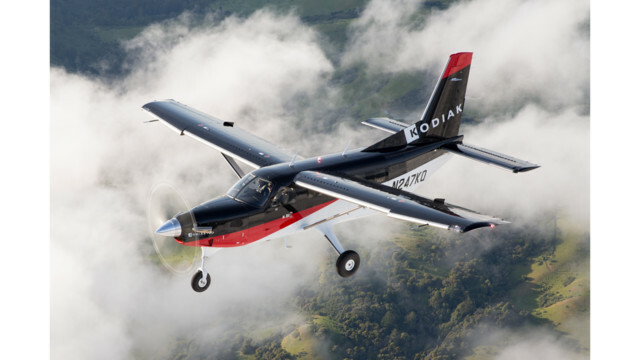 The HSI map and synthetic vision are standard features on the Kodiak. Quest has added Safe Flight’s Arinc 429 angle of attack system, which includes an indicator mounted on the glareshield in the pilot’s field of view.